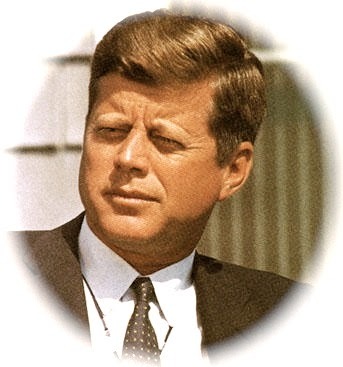 Yes, John F. Kennedy was charismatic and handsome, but as impressive and more important were his intelligence and cool head, major assets as he was drawn into intense Cold War world politics during his three years in office. I was very young then. I remember reading in My Weekly Reader, a newspaper for grammar-schoolers, about him and other Democratic candidates in an article on presidential primaries. Little did I know that his candidacy would actually make primaries relevant to election politics. Later, when he’d won the nomination and was campaigning in Southern California, my parents took us to Lindbergh Field, San Diego’s airport, where Kennedy was to land and say a few words before delivering a major speech downtown. Dad had gotten a pass of some sort through political contacts that gave us admittance to the area on the tarmac where Kennedy would arrive. The enthusiastic airport audience was contained within a small fenced area where we awaited the candidate. Kennedy landed in a private plane and spoke briefly from a raised podium nearby. Then he began shaking hands with the crowd. I’d already moved from the back of the crowd, where my family was standing, to the front so I could hear better and get a good look. As the handshaking began, I climbed on top of a fallen papier mache donkey in front of the podium and reached for his hand. Success! I was thrilled. I’d been captivated by his eloquent words and magnetic presence. Now I’d shaken his hand. It was the morning of November 22, 1963, sometime between 10:00 and 11:00am, Pacific Standard Time. I was in the language lab which was in the school's library building. I began to hear what sounded like a radio or TV at loud volume coming from the library. I wondered what was going on. My next class was gym and while I was changing clothes I began to hear rumors that shots had been fired at President Kennedy. I knew that someone had tried to shoot Harry Truman when he was in office and assumed this was the same kind of thing – an attempt. It was basketball season and we girls were on the court when the school principal’s voice suddenly came over the public address system and announced that President Kennedy was dead. My best friend was in the class with me and I remember that we sat on the court, hugging each other and sobbing. That night, mother didn’t feel like cooking, so we went to a local Mexican restaurant for dinner. It was packed with families like ours. Apparently a lot of other mothers didn’t feel like cooking that night either. The eerie thing was that as we sat there in that restaurant full of people, no one spoke, not anyone at any table. The room was completely silent and it stayed silent. My brother and I were glued to the TV through the rest of the weekend and, on Sunday morning, watched together in disbelief as Lee Harvey Oswald was shot and killed while in police custody. Then, on Monday, there was no school – it was the day of the President’s state funeral – and with it came all those never to be forgotten images…a widow heavily draped in black, heads of state from all over the world walking in the street with the family behind the coffin-bearing caisson, a riderless horse, the doleful sound of the funeral march as it played on and on, a little boy saluting his father's casket. As I've watched some of the 50th anniversary specials about JFK's life, presidency and death this past week and mulled over my own memories and all that has transpired since, I've realized that so much more than innocence was lost 50 years ago today. Patty - well said. Anyone who lived through that day will never forget it. I was in the 5th grade and I still can see Mr. Umbria coming into the classroom and telling us that we were all being sent home because the President had been shot. I was a little young to understand the full importance of it, but the images of my girlfriend's mother uncontrollably weeping, Walter Cronkite's stricken face and Jackie's elegant stoicism are forever a part of me. Marsha, Jacqueline Kennedy's ability to sustain her innate grace and stage manage a funeral steeped in historic tradition while at the same time suffering what must have been the most horrific pain and grief imaginable is beyond admirable. What a woman she was and what a pair they were. Jacqueline, This was the first time I've shared my experiences of that time - in writing - for nearly 50 years. It was no less difficult this time than it was the first time. Thanks for sharing your memories of President Kennedy and of the day he died. I was born 12 years after the assassination, but I've loved and admired JFK since I was a teenager. Watching the 50th anniversary coverage this week has been very emotional for me. He was so young, beautiful and brilliant, and I believe he would have become an even greater president if he'd been granted more time. It's heartbreaking to wonder what might have been. Melissa - We will never know what JFK might have achieved had he lived but we do know what his vision was - world peace. A revolutionary goal then and now. November 22, 1963 has got to be the most traumatic day in american history - traumatic to the american psyche, more so than 911 or Dec. 7 1941. It has to be worse than even Lincoln's assassination. 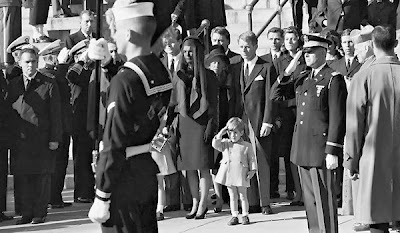 In the new television age, the american public felt they knew JFK and his beautiful young family - there was a personal connection that couldn't have been made during an earlier time. JFK was a politician but this was before everything had to be dumbed-down so that the candidate wouldn't be considered an elitist. He knew history and he had the extended vision that comes from that, along with the ability to articulate his vision. He was a human with flaws, but to the young generation he was a heroic ideal.. The events of Nov 22 were truly Shakespearean in their dimensions - plus the unfolding of these events on television were like some surreal nightmare - too dark too seem real - but real it was. Your personal memory of JFK must have made it all the more poignant. For me it felt like having my guts torn out. MCB - All that you say about that day, that tragedy, and about JFK is true. When I think back on that time, especially those four days, it's never easy or without emotion (though that may not be obvious since I seem able to write with some distance). What it felt like then was unending, excruciating pain. I'm sure I was, as was the entire country, in shock for days. I suspect that only the arrival of the Beatles and their joyous music in America just 2-1/2 mos. after JFK's assassination was responsible for beginning to lift me (and my generation) out of the depths of despair. Beautifully done Eve. 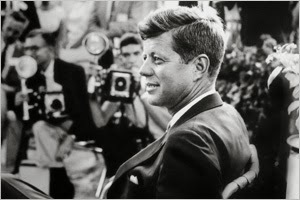 I have been watching a few of the TV shows and documentaries and what struck me was wherever JFK went and crowds gathered the people in the audience all felt JFK was waving or looking directly at them. He had that kind of intimate charismatic personality where it became personal. Three dates that I'll never forget where I was at the time. JFK's assassination, the death of John Lennon and the 9/11 attack. In the scope of things Lennon's death may not seen as important but both JFK and Lennon were dreamers that life, our world,could be a better place. Thanks for sharing your personal memory of JFK. Thanks, John. Looking back on the nine presidents who succeeded JFK, I don't think any of them - including Reagan, Clinton and Obama - were/are his match in terms of charisma, eloquence and extemporaneous wit. 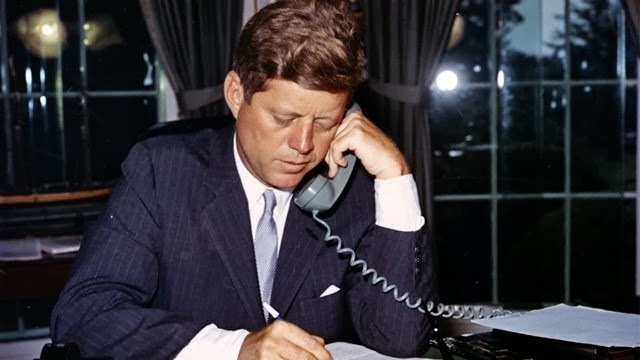 Clinton and Obama may be his equal in terms of vision and intelligence and having a sense of history...but the sense of American greatness and bright promise JFK projected died with him. I don't mean to imply that he was without blemish, but, my god, he was something else. We were lucky to be alive then and old enough to comprehend what he was trying to accomplish. John Lennon's death was most cataclysmic for our generation. It was, after all, The Beatles who had much to do with lifting the young out of the gloom that persisted after the assassination and he did, like JFK, represent ideals of a better, more peaceful world. As someone who did not live through the assassination it is interesting how the obvious and understandable trauma his death provoked seems to prevent very real examinations of who Kennedy was and what he accomplished. 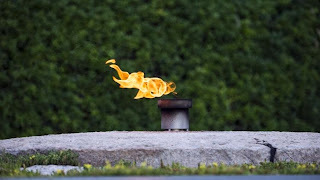 This post wasn't intended to examine the Kennedy presidency in detail nor to analyze him as a man, it is about what he symbolized and what his assassination meant on a personal level as well as a recollection of the impact his murder had on the country at the time. I do think he would have been re-elected had Goldwater been the opposing candidate (as he was to Johnson), Goldwater being considered extreme at the time. I think you will see, if you examine each president who has come and gone from the office since, that there are negatives and positives and character issues with each of them. Kennedy inspired, few have done that since.